Stay for a weekend or longer at this home in the quiet area of Baja Oasis. 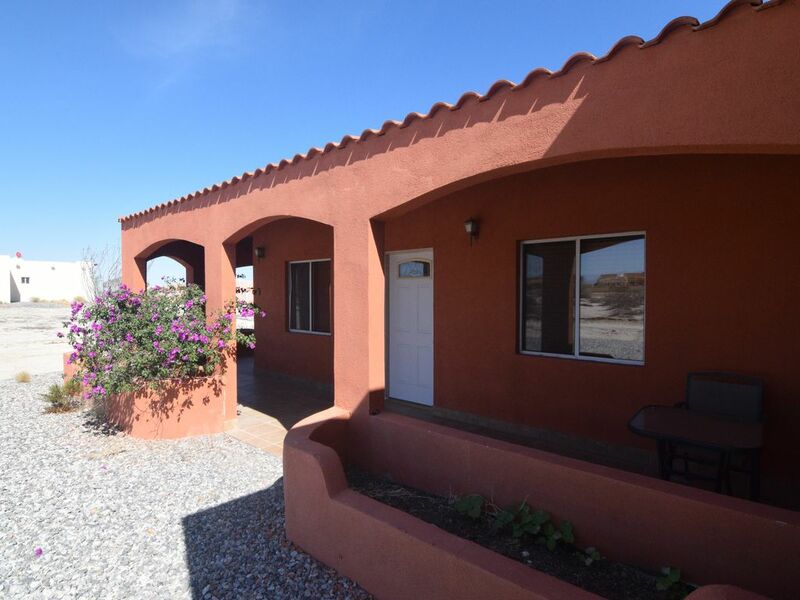 An American development, this community is perfectly situated just 10 minutes from downtown San Felipe. It's a great place to unwind and in today's economy your dollar goes along way here. This Vacation rental home is on El Dorados mountain side in a very quiet and peaceful community. Take time for beach combing or at low tide just a 4 to 5 minute drive on the ranches beach side, enjoy the clay baths and hot springs below the Lighthouse in town. Relax with a paddleboard or Kayak. Golfing, Sport Fishing or a Desert Adventure can also be arranged for your stay. Downtown San Felipe's Malecon offers shopping, restaurants and night life for all ages just minutes away. Don't feel like going out? The interior's sunken living area is appealing with plenty of comfortable seating. You can bring your toys as there is plenty of secured gated parking. I'm originally from San Felipe. I moved to the US as a kid and went to school in Oroville, California. I moved back to San Felipe, got married and have three beautiful kids. Growing up in the US, I learned a lot about the high standards guests expect and have brought this experience to all properties I manage. My listed homes are owned by Americans and Canadians who visit once or twice a year. When owners are not in town, the home is available to reserve. Each home's decor is unique in that it reflects the owner's style. My goal is to help you enjoy San Felipe to the fullest. When you reserve any of my homes, I will send you an email with a list of things-to-do both locally in San Felipe and some which are day trips. (I am not able to share this with you now as Airbnb does not allow adding website links). Depending on the length of your stay, you get to chose which you'd like to do. One of the trips I recommend is doing a fishing trip to Konsag essentially a fishing and sightseeing trip. All this and more will be in my list of things to do email. One question I get pretty often is whether we use non-toxic cleaning products while cleaning properties I manage. The answer is YES . We use organic cleaning products sourced from the local Prolisa organic store. Our guests appreciate this and it is also better for our cleaning crew who regularly come in contact with the cleaning products. During your stay, please do not hesitate to contact me with any questions or if you need tips. I look forward to hosting you. MONTHLY RENTALS: Utilities are extra! A utility deposit is required on arrival. You will receive copy of utility bills.